Joshua Rozenberg asks how the UK's Human Rights Act might be reformed and what the legal implications of change would be for British courts, Parliament, government and people. With political pressure mounting for far-reaching reform to the Human Rights Act, Joshua Rozenberg explores how this might be done. 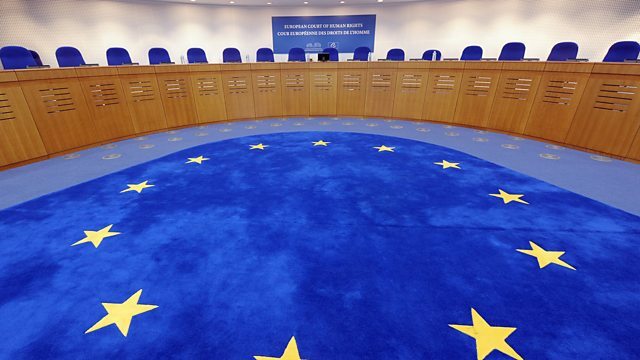 More than ten years after the incorporation into UK law of the European Convention on Human Rights, how far has the Convention re-shaped our law? How far do the provisions of the Human Rights Act affect the day-to-day decisions of our courts? And if Parliament were to amend the law, what could - and should - be changed and why? Joshua Rozenberg explores the legal issues underlying this controversial legal and political debate with members of the Government-appointed Commission on a British Bill of Rights; a former government lawyer; a leading criminal barrister whose cases also raise human rights issues and politicians. The programme also looks at cycling law. As the number of cyclists on our roads increases, so too does the conflict between them, motorists and pedestrians - but is the law keeping up with the change? Few people seem to think so, with pedestrians furious at 'lycra-lout' cyclists jumping red lights or cycling on pavements and cyclists frustrated at inconsiderate motorists. Law in Action goes for a ride with cycling law expert Jorren Knibbe for a taste of the road wars. And Joshua discusses proposed new dangerous cycling and driving offences with Andrea Leadsom MP. Taken into Consideration: An Admission of Guilt? Legal Aid Reform: Long Overdue or Denial of Justice?